Based on a Peugeot 308, Peugeot Sport has developed 308 R Hybrid. This plug-in hybrid gasoline pushes the boundaries of sportsmanship in its segment to a new level, offering outstanding performance. It was a challenge: develop a hybrid propulsion system of extremely high performance plug-in gasoline, EMP2 integrate it into the platform and take their performance to new horizons. The result is the challenge: impressive. 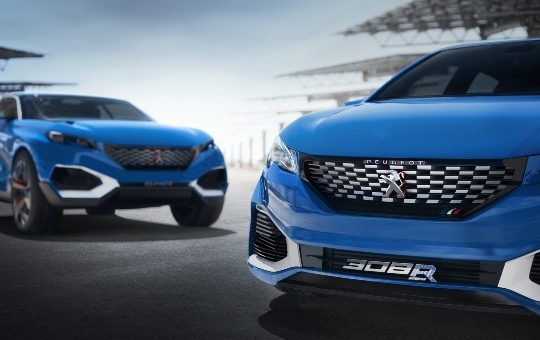 With an output of 500 hp and four-wheel drive, the 308 R Hybrid reaches 250 km/h, electronically limited speed, performs the 0-100 km/h in just 4.0 seconds and covers the 1,000 meter standing start in just 22 seconds. All this with CO2 emissions of only 70 g/km. The four-cylinder 1.6L THP 270 S&S gasoline engine, the mechanical standard with the highest specific power of the world at this level of displacement, with 169 hp/L. An electric motor, with a power of 85 kW/115 hp, attached to the front wheels via a six-speed gearbox. A second electric motor, with the same characteristics, located on the rear end. In addition to these three modes, the 308 R Hybrid has a Launch Control strategy, designed to achieve the best outputs from standing. To do this, when the vehicle is stopped, the driver starts the Hybrid Sport mode, disconnect the ESP to brake, engages second gear and accelerates in-depth, achieving a time of only 4.0s in the 0 to 100 km/h.